Have you seen this week's MFT Sketch Challenge? It's definitely a fun one! The sketch looks like it was made for the new Ride the Wave Die-namics and Wavy Greetings stamp set. 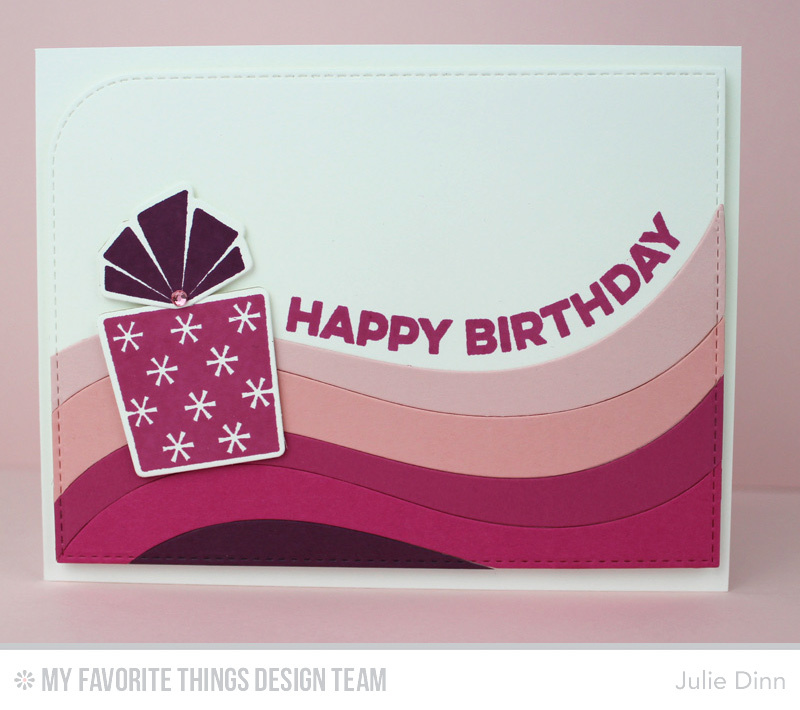 I paired these items with the Celebrate You stamp set and Die-namics to create a very pink birthday card. 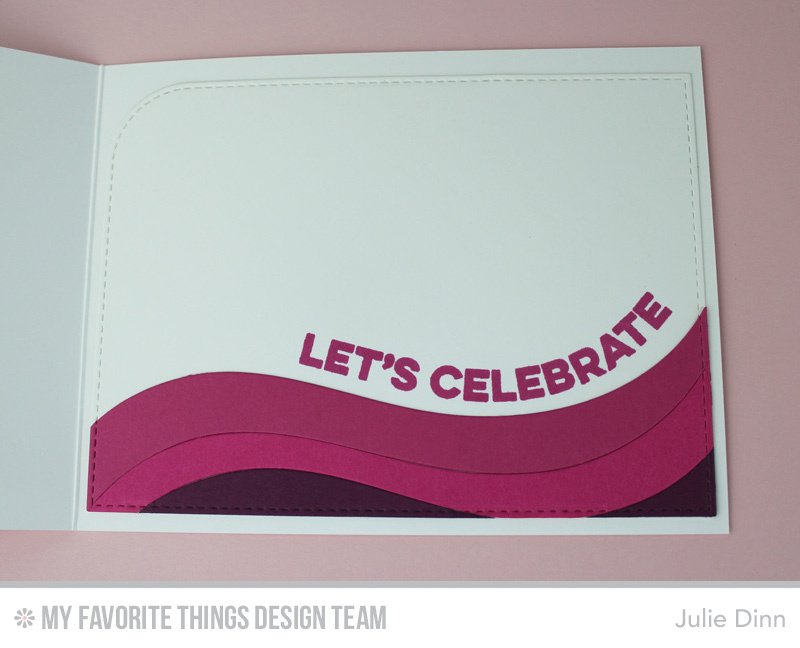 The waves were created with Pink Lemonade, Bubblegum, Ripe Raspberry, Razzle Berry, and Pure Plum card stock. The sentiment from the Wavy Greetings stamp set was stamped in Ripe Raspberry Premium Dye Ink. The present from Celebrate You was stamped in Ripe Raspberry and Pure Plum Premium Dye Ink. On the inside of the card, I stamped another Wavy Greetings sentiment above a smaller wave. Be sure to check out the MFT Challenge Blog to see all the fabulous creations the team has to share with you. Julie, I love your beautiful card! You are right, this sketch is perfect for the Wave die set! Your cards are always precise and so well-executed, Julie! You rocked the wave, for sure!